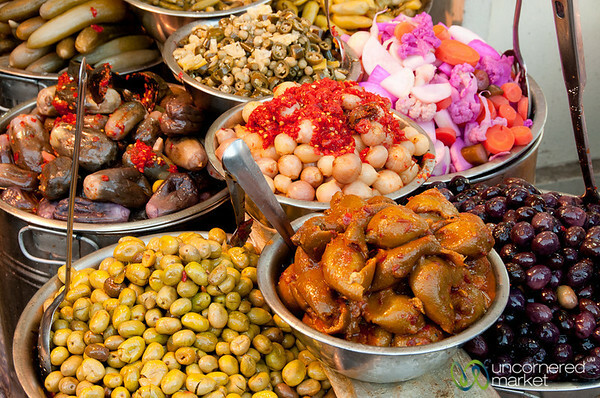 The alley streets behind Hussein Mosque in downtown Amman are full of vegetable and fruit stalls. 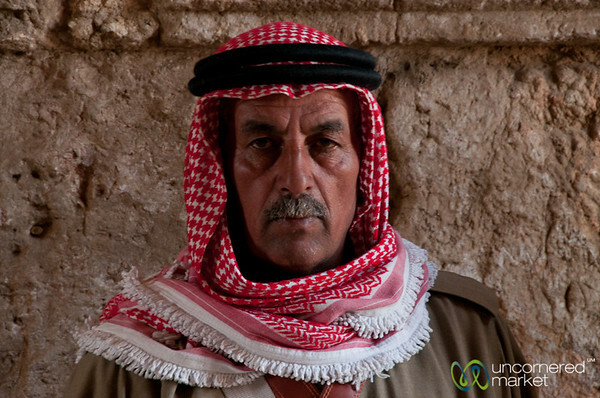 This man was a falafel making machine, as if he worked permanantly on fast forward. 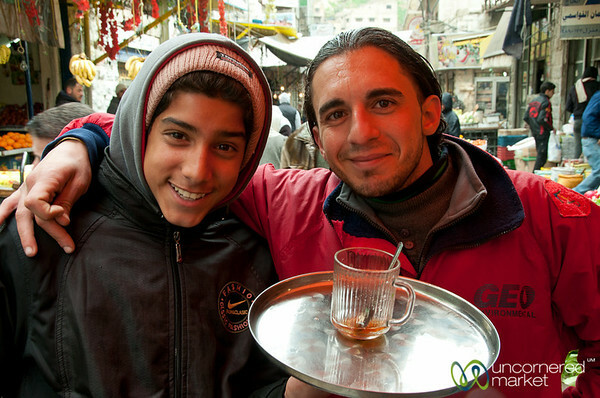 Taken at a famous falafel and local restaurant in Amman, Jordan. 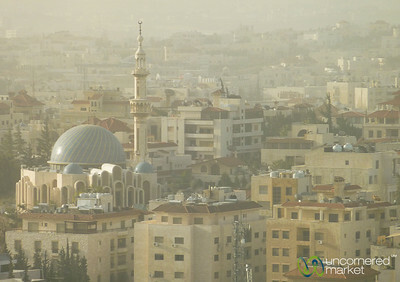 An early morning view from the window of our room at the Four Seasons in Amman in Jordan. 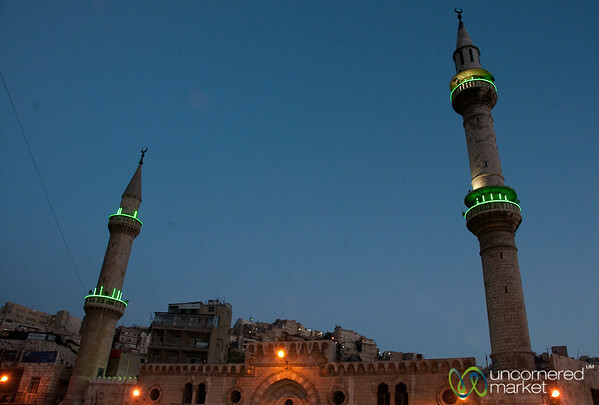 King Hussein Mosque lit up for the night in downtown Amman, Jordan. 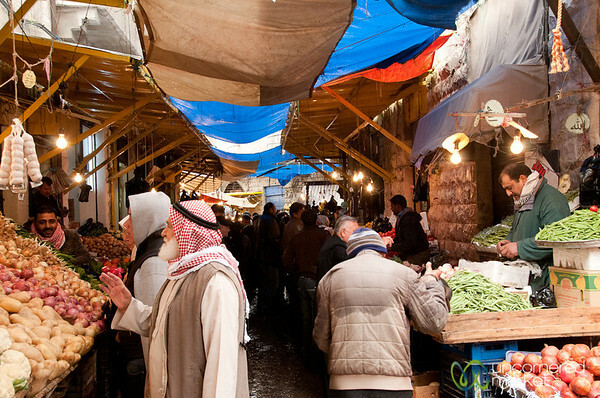 A busy spice shop on a Saturday afternoon in downtown Amman, Jordan. 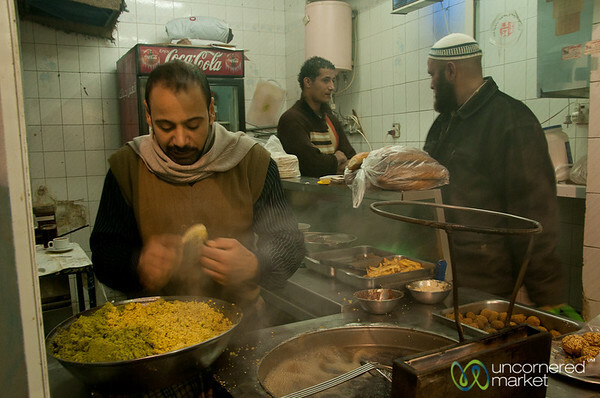 Al-Quds is a small street-side falafel joint near Rainbow Street in downtown Jordan. It is known as being the oldest falafel joint in Amman. 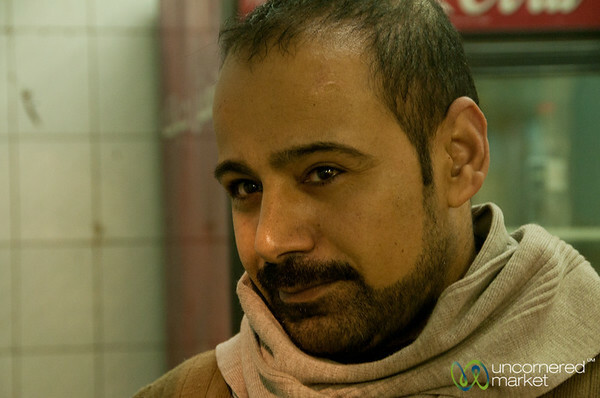 Quite good falafel, too. 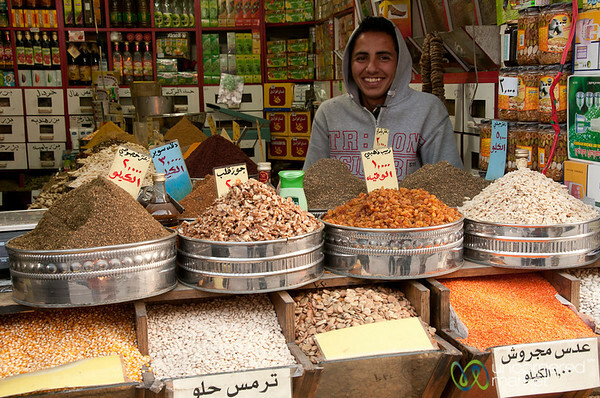 A friendly, young spice vendor in downtown Amman. 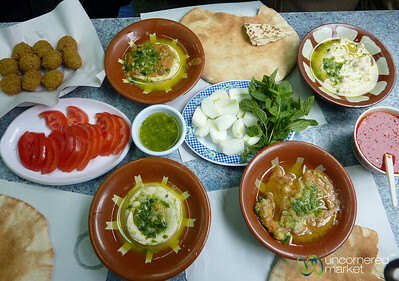 Varieties of hummus and foul (crushed beans) for lunch at Hashem Restaurant, one of Amman's famous eating joints. 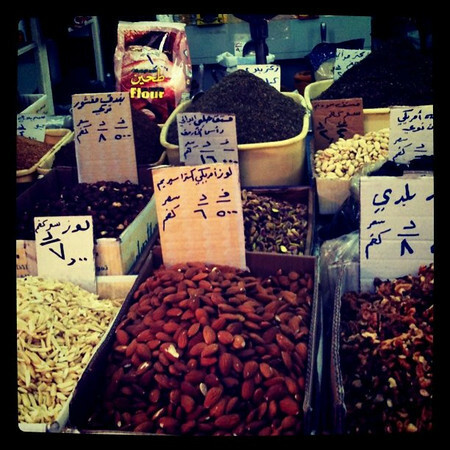 Makings for a mezze, Jordanian-style. 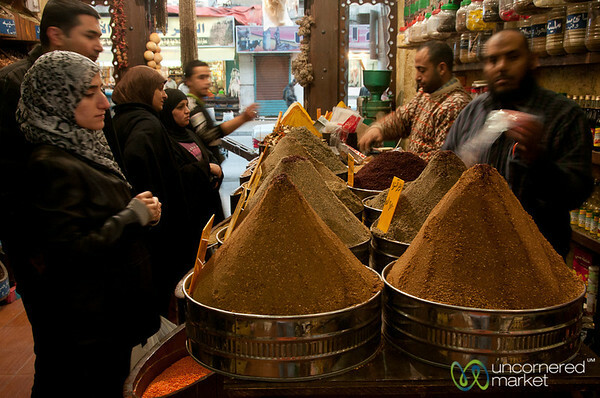 Foul is crushed beans cooked for a long time and served with a variety of condiments, spices and herbs. 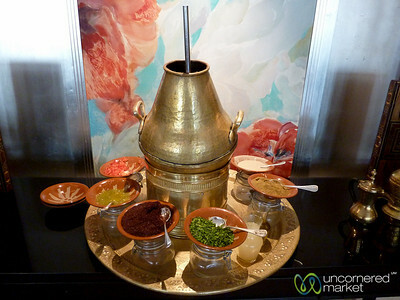 Here, you see sumak, cumin, fresh parsley, chili sauce, lemon juice, olive oil and there is probably more. 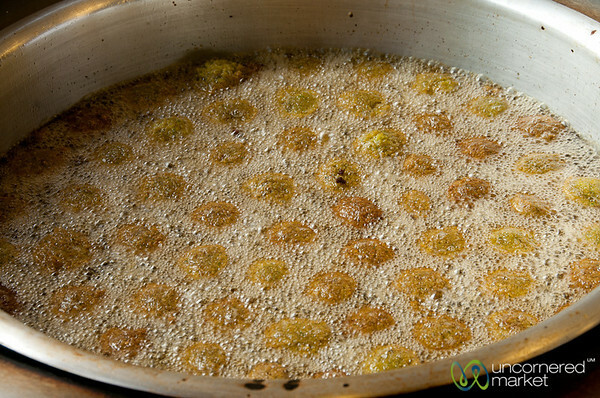 This is a typical Jordanian dish. 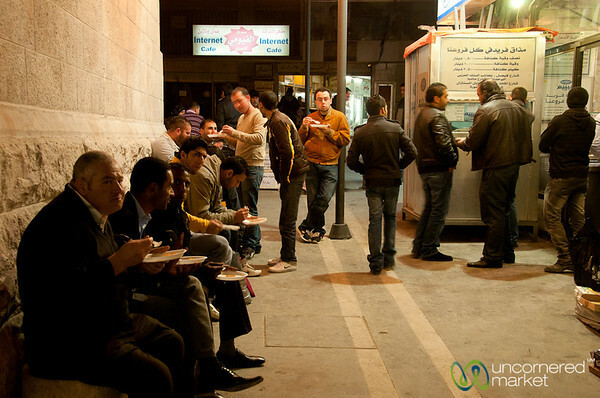 A long line of people waiting for knafeh (traditional sweet made from gooey cheese with semolina bits doused in sugar syrup) at Habiba in downtown Amman, Jordan. Really delcious stuff! 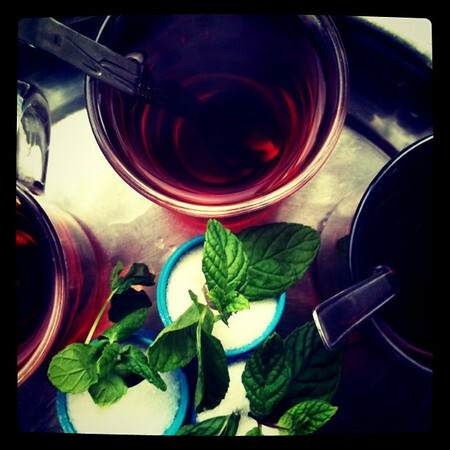 We get some mint tea near Hussein Mosque in downtown Amman to warm up from the winter weather in Jordan. 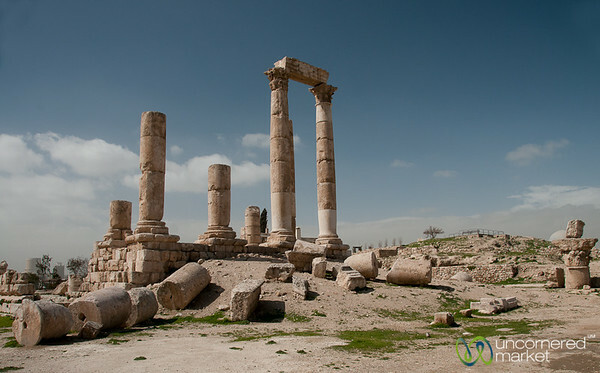 Walking through the Citadel in Amman is like an ancient history lesson. Here, you see the ancient Roman columns from the Temple of Hercules. 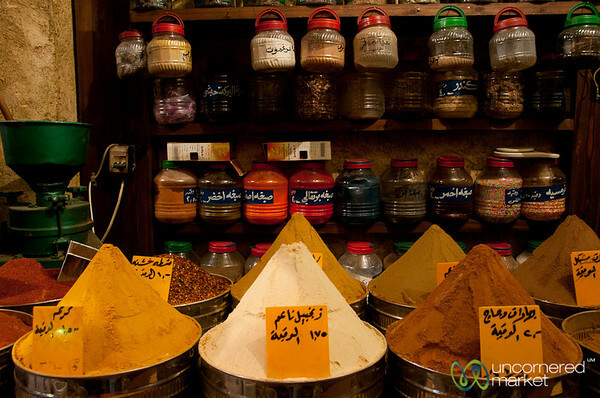 Piles of spices combined with jars or spices make this one well-stocked spice shop in downtown Amman, Jordan. 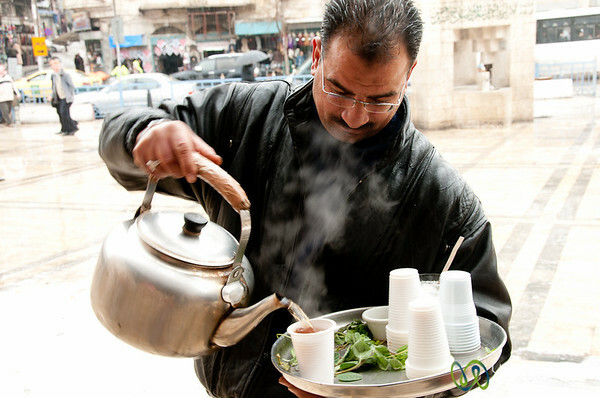 This man is actually the son of the famous nut roaster of downtown Amman. 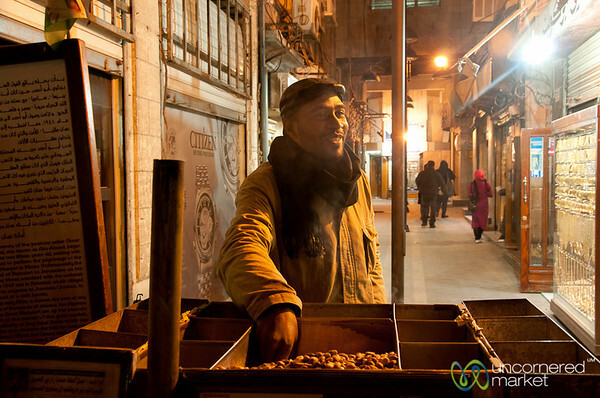 When his father was killed in a traffic accident, he took over the stand to serve passerbyers delicious, warm roasted peanuts and other nuts.